* It is the backdrop of the multiverse, where phenomena such as space and time are so vastly different from 'normal' that only a true blood knows his way around. * When he's on the Astral Plane, a basher moves, fights, and acts solely with his mind. * It is the closest thing the multiverse has to a 'plane of magic,' where sorcery and spells are not only more powerful, but are palpable, tangible objects. * The primary inhabitants are the infamous githyanki, an ancient race of wizards and warriors who know the dark of many secrets forbidden to others. 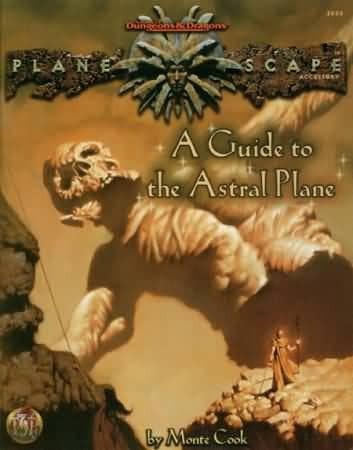 * The Astral Plane is literally the dead-book of the gods."